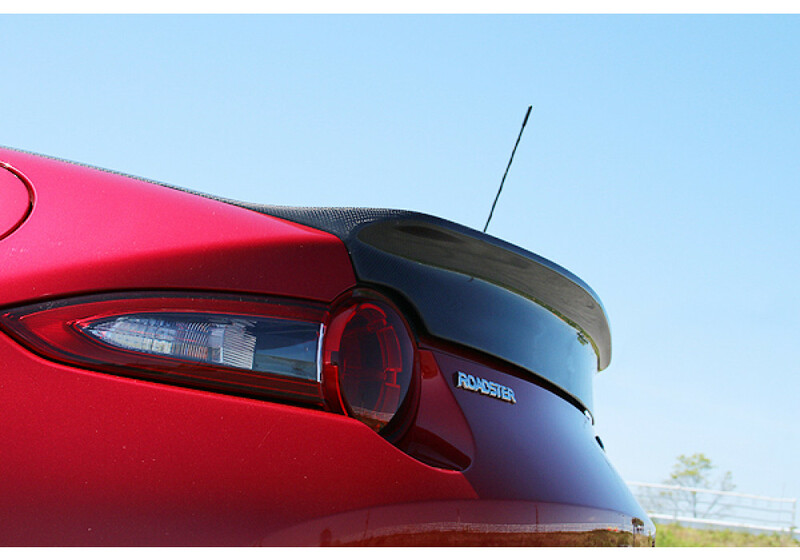 Beautiful trunk with an integrated duck tail (duckbill) spoiler that is a collaboration between TUCKIN99 and Chargespeed. 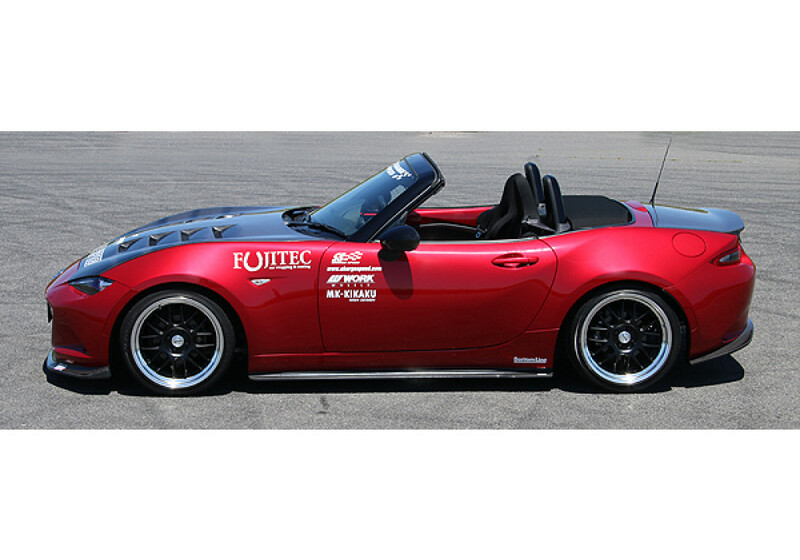 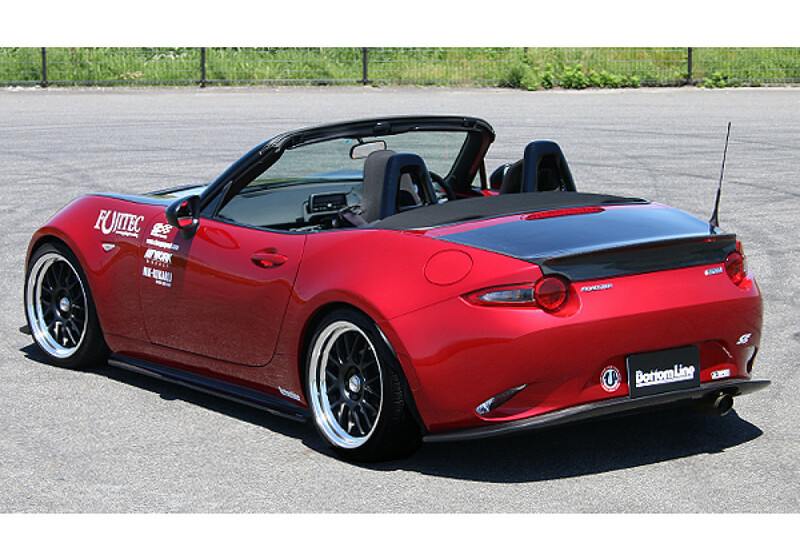 It is made specially for the 2016+ ND MX-5 and will sure enhance the look of the car and give it a more muscular look. 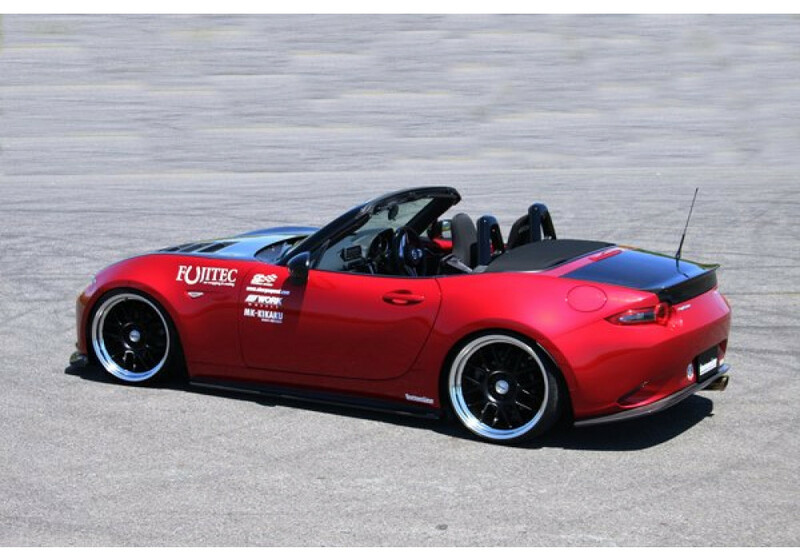 It's a top quality part that will sure improve the look of your car and that's available in FRP or Carbon Fiber. 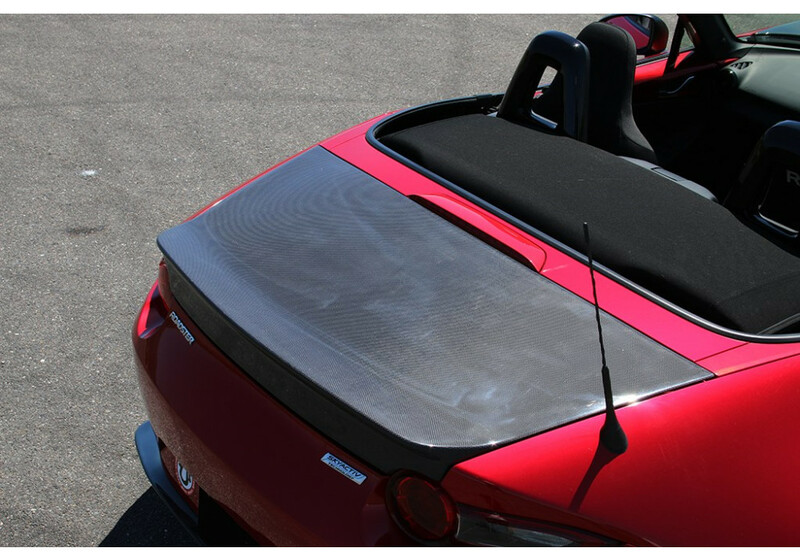 Please note that the Carbon Fiber finish is not UV coated and it is recommended to have it coated locally if you park the car under the sun most of the time. 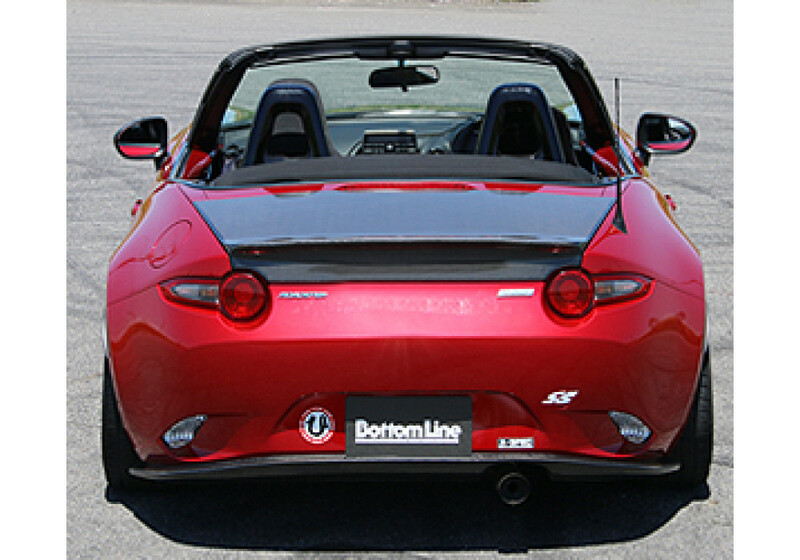 TUCKIN99 Bottom Line Ducktail Trunk should be ordered at REV9 Autosport https://rev9autosport.com/tuckin99-bottom-line-ducktail-trunk.html as they provide the best service and speed we've seen so far! 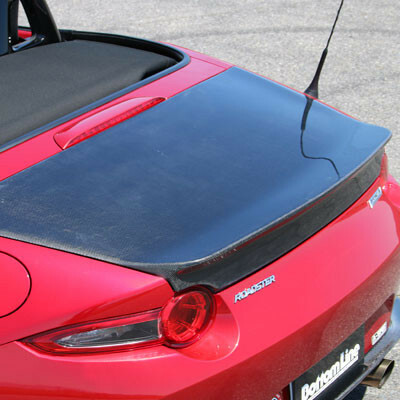 Do you know if this company will be making this trunk for the RF anytime soon? 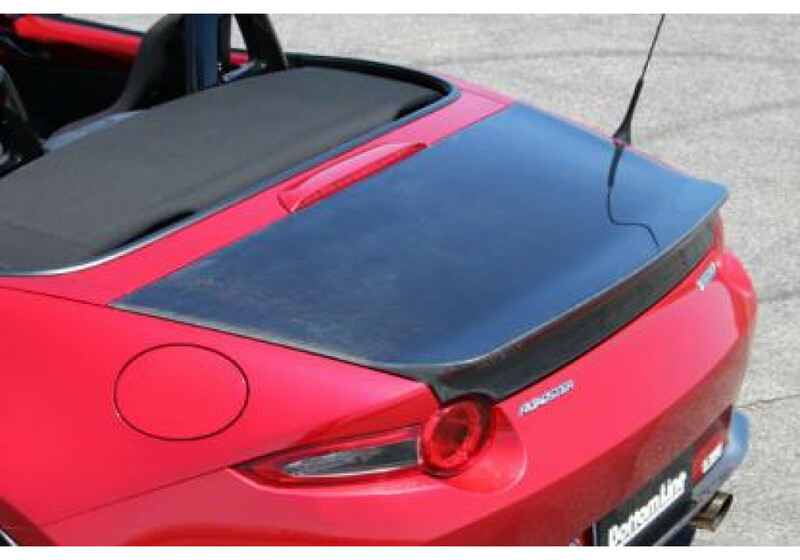 As far as we know, there is no plan for a ND RF trunk, unfortunately.